Canada is a vast and diverse country with museums and historical sites that cover just about every topic. If you’re interested in shoes, there’s a museum for that. Bugs? We’ve got that covered, too. Whatever you want to learn more about, Canada is eager to provide you with the knowledge. And these four museums go beyond the call of duty when it comes to education, information and inspiration. So pay each of them a visit as soon as you can! As soon as you set foot in this grand historical space, you will understand why it’s called The Royal Ontario Museum. It is located right in the heart of downtown Toronto, so it is easy to get to if you happen to be visiting the province’s capital. 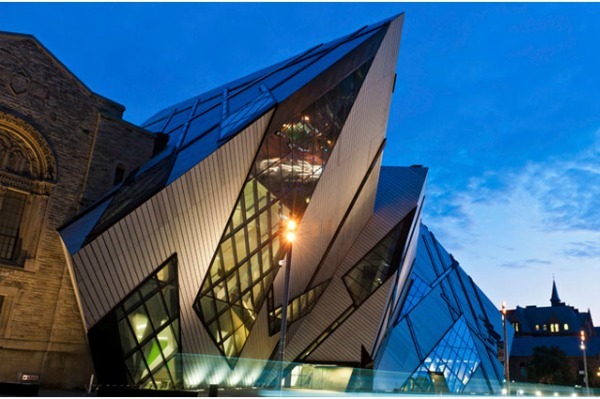 The exhibitions at the ROM are constantly developing and changing, and with a place so vast, you are guaranteed to experience something new every time you visit. The museum is home to art galleries, dinosaur exhibits, historical preservation areas, cultural displays and much more. The only challenge you’ll have is deciding which presentation to visit first! If you are a lover of dinosaurs and all things prehistoric, then the Royal Tyrrell Museum of Paleontology is just the place for you. It’s located in Drumheller, which is just a couple of hours outside Calgary, and is loaded with fascinating artifacts and information. It features nine galleries that are constantly being altered as more fossils and displays arrive, so there is always something new to see. You can take a stroll through Canada’s biggest collection of prehistoric plants, explore one of the world’s largest collections of dinosaur skeletons and witness what the underwater world looked like hundreds of millions of years ago. There really is nowhere else quite like it in Canada. If you really want to get a feel for Canada’s history and its people, the Canadian Museum of Civilization is a must-see. It is Canada’s most visited museum and houses the world’s largest indoor collection of totem poles. You can stroll through galleries displaying hundreds of years of Canadian history or even witness the past being reenacted by the actors of the museum’s very own theatre company. It also features an IMAX theatre as well as a children’s museum, so there are different forms of entertainment for everyone. The AGO was founded in 1900 and has since grown to be one of North America’s largest art museums. If you are an art lover or are simply looking to broaden your knowledge in the area, you will certainly not be disappointed here. With a collection of over 80,000 pieces from all over the world, dating back to 100 A.D. you will undoubtedly be exposed to some incredible works. The museum features every form of art, from photography to sculpture to painting and more. Your creative mind will be stimulated from the moment you step in the door and will keep you thinking for days afterwards. Canada really does have a museum for everyone, so don’t be afraid to look around and find the one that’s just right for you!